Planning an industry event at a conference center in Southeastern New England can be a challenge, especially if you don’t have any experience with this type of thing. However, if done correctly, putting on trade shows and hosting corporate events in Massachusetts can be a lucrative venture. It will not only be profitable financially but can help you to establish new relationships within the industry and set yourself up as an industry leader. To rent meeting and event space in Swansea, MA you will want to have a budget. Everything costs money, from reserving the Southeastern Massachusetts event venue to hiring speakers, catering refreshments, and providing educational resources. Even conference badges and lanyards cost money, but you’ve got to have all of these things if you want to host a successful trade show or another type of industry event. One of the best ways to pad your budget is to attract and secure sponsorships for your event. Sponsors can agree to pay a specific dollar amount in trade for top billing as the sponsor of a certain portion of your trade show. Registration sponsor, refreshment sponsor, networking party sponsor – these are just some of the types of sponsorships that you can sell. Sponsors get advertising opportunities to reach out to your attendees, so it is important to attract sponsors that will mesh with the target demographic of your audience. Make several levels of sponsorship available to attract large, mid-size, and smaller companies to your event. Platinum sponsorships should be targeted to larger corporations who want to have a more visible presence at your event. Large banners, signage, and other opportunities should be made available at the meeting and event space in Swansea, MA. Lower level sponsorships can be co-sponsor opportunities for refreshments or other events within the event. Educational sponsors for seminars, workshops, and training sessions should also be made available. Just make sure everyone gets something of value for their investment, and the next time you put on an event at a conference center in Southeastern New England, you’ll have corporate sponsors contacting you in advance wanting to be involved. Begin your quest to get sponsorships by creating a list of potential sponsors. Choose obvious options according to past support made by companies for other industry events. Consider smaller companies that are located near the Southeastern Massachusetts event venue that might want to appeal to local attendees. Take time to learn a bit about each company to determine if they have similar marketing goals that might benefit from involvement in supporting you in hosting corporate events in Massachusetts. Create a solid pitch that you can use to sell your idea to potential sponsors. If you have done other industry events in the past or have been involved in another type of gathering or educational program, highlight that in your pitch. Sell the venue where you will hold the trade show, as well as all of the features and opportunities that will be available to sponsors and attendees during the gathering. If you don’t have any experience planning events like this, be prepared to underline the reasons why you think you are qualified and what you will be able to offer with your idea. 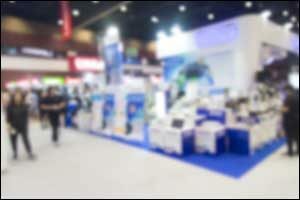 In addition to sponsorships, consider opening up the trade show floor to other businesses for expo booths. Charge a flat rate based upon the cost for the space divided by the number of booth spots that are available. Create larger, prime location booth spots to provide to corporate sponsors to anchor the showroom floor, and then allow lower cost rentals in between for smaller companies. Make sure to include a certain number of employee passes to the event for sponsors and booth rentals to provide even more value to participants. Consider charging for registrations to the event. Even if it is just a nominal fee of $25-50 per person to attend the Southeastern Massachusetts event venue, that will add up and cover some of the cost. Putting on a trade show event is a pretty big deal, but with careful strategy and a good-sized budget, it can be a very beneficial opportunity for you and your company. Many entrepreneurs have increased their value and reputation within their respective industry just through participation in arranging industry events. It’s just important to ensure that there is visible value to everyone involved, including the attendees and sponsors, speakers and vendors. If you are looking for a conference center in Southeastern New England that has the space, amenities, and opportunities you need for hosting corporate events in Massachusetts, contact our team at 508-678-3901. 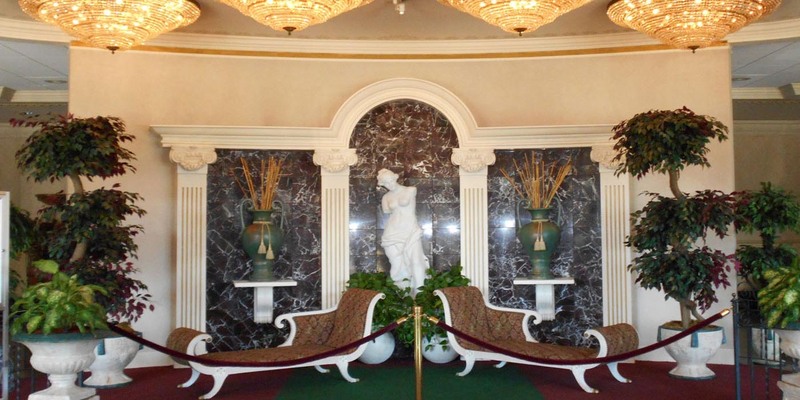 Venus de Milo has a solid reputation for providing well-appointed space, catering, and other options to corporate and individual clients. Contact our team to schedule a tour of our meeting and event space in Swansea, MA.